Dating can be overwhelming and tricky even when you’re a careless teenager, but it’s even harder to find someone special when you become a senior. The case is no different with online dating in the United States. Yes, there are sites specially designed for seniors, but when you’re over 50 years old, finding someone compatible to settle down with can be rather difficult. 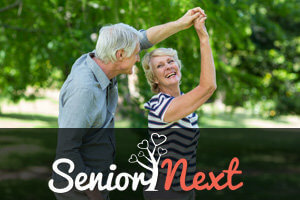 Therefore, we decided to share some useful tips on how to find your perfect senior match using a dating site of your choice. 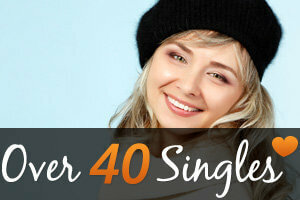 So, if you’re over 50 years old and you’re interested in finding yourself a US senior single, stick around and check out these 3 amazing tips. This should be your first priority until you get used to this dynamic and exciting world that is online dating. Although most dating sites really are safe, you have to be prepared for anything. There are many scammers who use fake profiles in order to create some kind of elaborate ruse, so they could steal money from naive people who are not seeing it coming. They usually target new and inexperienced users, so we advise you to play safe and never give out your personal info until you’re 100% sure that people on the other side really are who they say they are. The best way to make sure your match is not a scammer is to arrange a meeting in a public place. Also, don’t rush things. Wait approximately 2-3 weeks before you arrange a meeting, because scammers usually don’t have the patience to wait that long. You should never give out your home address or a home number until you make sure that person is indeed trustworthy. When you enter the world of online dating, it’s very easy to get lost in all those profiles and tempting options. Instead, try to stay calm and focused on your goals. State your interests and carefully read everyone’s profile descriptions in order to find yourself a US senior single who shares your interests and enthusiasm for certain things. A lot of people will try to start a conversation with you and that can be flattering and exciting as long as you don’t try answering to ALL those “Hellos”. If you start chatting with all those people, you’ll easily get overwhelmed and swamped. You need to focus on those people with whom you share the same interests. Of course, you shouldn’t just ignore those other suitors as that way you might come off as nothing but a rude person, which can be pretty bad for your reputation. Simply inform them that you’re not interested and move on. Finding someone similar and compatible with you is an amazing thing and, naturally, when that moment comes every one of us is eager to seal the deal. That is highly recommended, but you need to be careful and patient. Being smooth is crucial when it comes to senior dating. Show that you’re excited about getting to know them, but don’t be hasty, pushy, and clingy. That way you’ll come across as a needy and desperate person and trust us, no one wants to date those people. Therefore, be patient and let the magic happen.